UTA Artist Space is pleased to announce Pretty Pictures, Austin Lee's first solo exhibition in Los Angeles. UTA Artist Space is pleased to announce Pretty Pictures, Austin Lee’s first solo exhibition in Los Angeles. Austin Lee’s generation can be called “digital natives,” – artists for whom that realm is natural, organic and matter of fact. He is a painter who effortlessly delivers pixel to paint transformation. Lee’s paintings are familiar, yet strange, otherworldly, yet grounded in sometimes tragicomical earthly realities. While they are figurative, there is a level of abstraction that takes rated brides home the simplest and most recognizable of forms and disassociates them from representation. Lee often starts by making digital sketches on an iPad. He then loosely translates the compositions onto canvas using airbrush and fluorescent paint in response to the garishness and luminosity of the screen. By remaking the virtual into physical, the immersive textured surface and color of the paintings slow down the viewer’s perception of the more immediate screen images. Often based on real people, the figures depicted could be described as cartoons with a soul where a few quick gestures vividly convey the emotions of his subjects. Lee’s works range in their delivery of spatial progression from flat to perspectival to dimensional illusion, culminating in physical figurative sculpture (3D printed scans that are then textured and painted). Austin Lee (b.1983) lives and works in New York. He received an MFA in Painting from Yale School of Art and a BFA from Tyler School of Art. 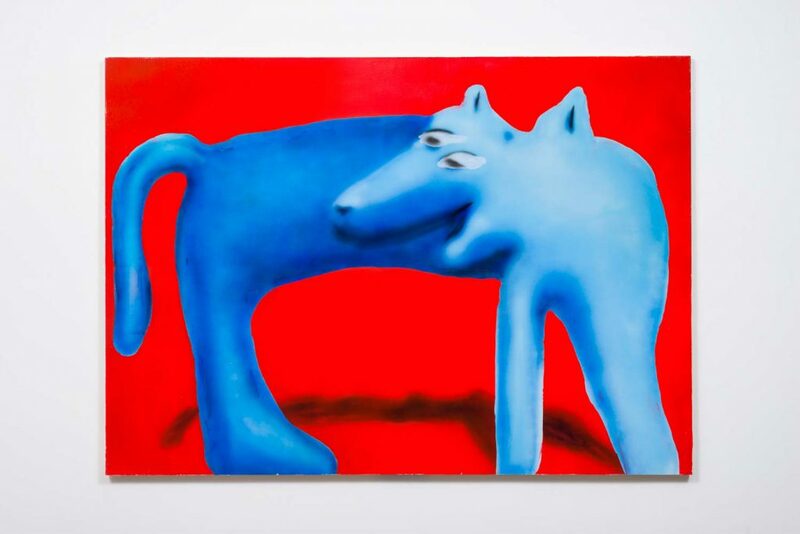 His most recent solo exhibitions include shows at Postmasters Gallery in New York, Carl Kostyal in London and Stockholm, Kaleidoscope in Milan and New Gallery in Paris, with upcoming exhibitions in BANK, Shanghai and Murakami Gallery, Tokyo. Lee’s work has been written about in Artnews, Art in America, Artinfo, New York Magazine, Leap, Time Out New York and London, The NY Observer, Hyperallergic, Black Book, Dazed & Confused, Kaleidoscope Magazine, The Spectator, and Rhizome. UTA Artist Space is an extension of UTA’s commitment to the Los Angeles arts scene as much as it is a venue for showcasing global talent and new work. The new venue continues UTA’s history of helping artists gain access to new and better opportunities; it solidifies UTA’s reputation as a forward-thinking agency devoted to expanding and redefining the role of talent and literary agencies globally.